When Activision told me to swing by and see an unannounced game during E3, I didn’t really know what to think—but I definitely wasn’t expecting the next From Software game. I still think it’s an odd fit, Activision and a Souls-style game. It’s called Sekiro: Shadows Die Twice and if you didn’t see the trailer during Microsoft’s press conference you can catch it below. Luckily we also got a chance to see the game running behind closed doors, though unfortunately we don’t have any game footage to show you today. This was strictly a hands-off demo, running us through about 15 to 20 minutes of Sekiro on the PC. We also weren’t given names for any of the characters, which might make this write-up a bit awkward. The antagonist, for instance, was referred to only as “The Rival” the entire time. He has a name, From just isn’t sharing it yet. Same goes for the protagonist, as well as the “Young Lord” who you’re charged with guarding. In any case, the game is set in the Sengoku period, towards the end of the 15th century. Your character serves the aforementioned Young Lord, who From was content only to say is a “very special person.” He’s being pursued by enemies as the game starts, when The Rival (I told you this might get awkward) cuts off the main character’s arm—presumably in a duel. Miraculously your character doesn’t die, instead being fitted with the Shinobi Prosthetic where his left arm used to exist. This is the central conceit of Sekiro, a tool that factors into exploration and stealth and combat. The first feat we’re shown, and one you might’ve caught from the trailer: It can be used as a grappling hook. This immediately differentiates Sekiro from Dark Souls and Bloodborne before it. No longer are you earthbound, funneled through corridors on your way to a goal. Now you can climb up on top of houses, or grapple over walls. And yes, there’s a dedicated jump button also. 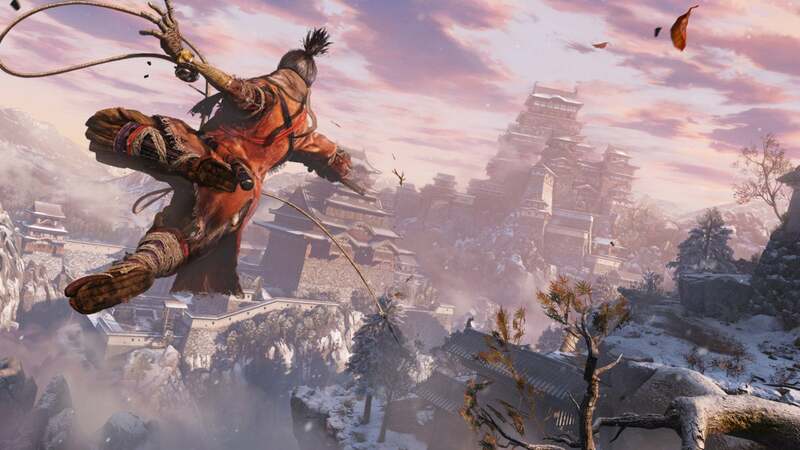 Sekiro is a much more agile game than any of its predecessors. 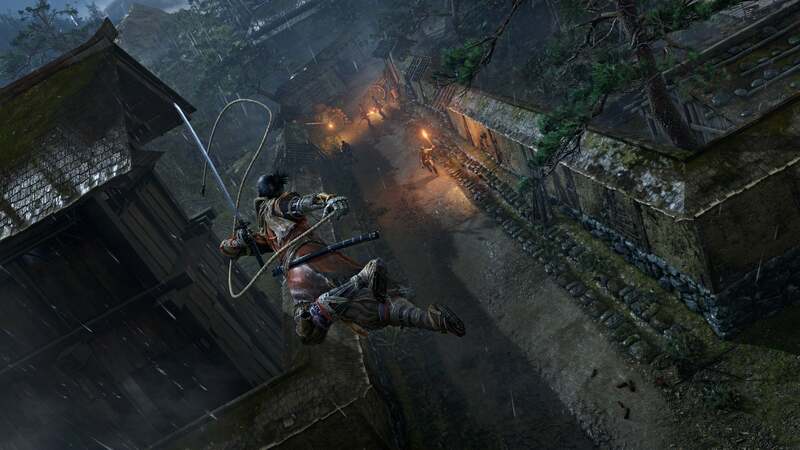 From delighted in showing us how this opens up the level design—for instance, a secret passage leading over the side of a bridge, leaping from root to root down a cliff face to find a hidden “Shinobi Door,” an alternate route into a fortress. These secondary routes are everywhere, if you look hard, and should radically change how people approach different challenges. And it should change how you approach combat, too—or don’t approach combat. In previous From games, “stealth” mainly meant trying to stay out of an opponent’s line of sight, because maps were built around chokepoints. Combat was practically mandatory most of the time. 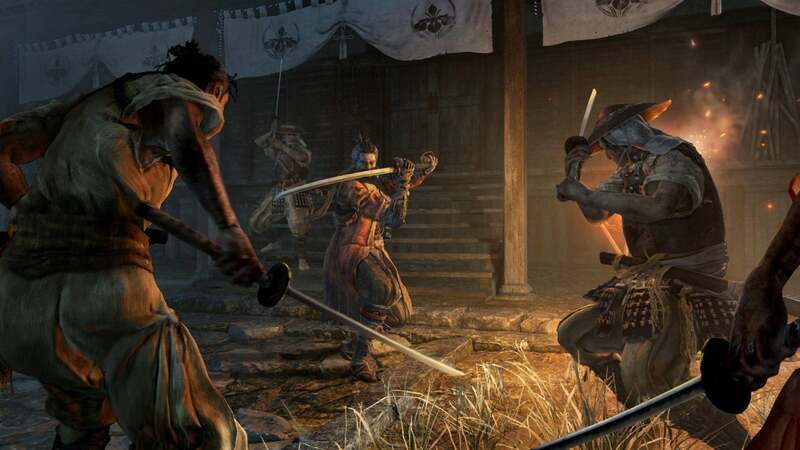 In Sekiro, you can dart past a lot of fights. You don’t have to. You can leap into the fray. But you’re often outnumbered by four or even five enemies at once, so the odds are terrible. Sometimes it’s better to know when to hide, to grapple up to the rooftops and leap from house to house until you’re past the danger. This is doubly true of some of the larger monsters. Our demo showed us the enormous snake from the reveal trailer, and we were told that it’d be suicide to fight that enemy in our current state. Instead we ran from cave to cave, peeking around corners and trying to avoid its notice for as long as possible. Stealth also allows you to execute “Shinobi Death Blows,” sneak attacks that do massive damage—sometimes even killing minor enemies outright. Thus when outnumbered it’s smart to pick off an enemy or two beforehand, make the fight a bit easier. It’s a pretty sophisticated system compared to previous Souls games, even allowing you to hide in tall reeds at times. Proper combat is more agile too though. We were told that the mantra behind this game is “A clashing of swords.” In your right hand you hold a katana, and it’s your primary combat weapon (or at least was in our demo). Combat involves lots of blocking, with sparks flying as sword meets sword in a loud clang. Flashy. Satisfying. Every block reduces your “Posture” meter though. Reduce the enemy’s Posture meter and you can inflict a Shinobi Death Blow in combat, with sweeping sword slashes and backstabs. Of course, the enemy can also do the same to you. Running out of stamina is no longer the only concern here. The Shinobi Prosthetic is good for more than getting to high places, too. I haven’t even talked yet about your alternate arms, but here’s what I wrote in my notes: “You can have a $&^#!ing ax come out of your arm.” And it’s true, you can. Your prosthetic can have an ax embedded in it, which flips out to whack enemies. The trailer shows some other tools, like a collapsible shield. 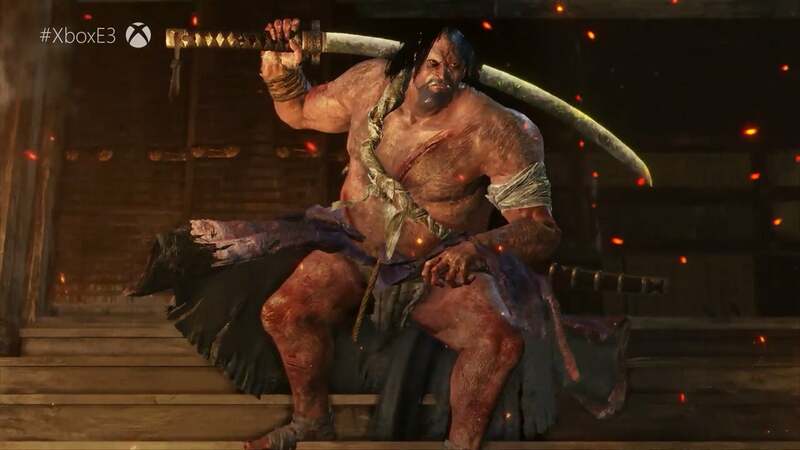 It seems like this will be the main method of gear customization for Sekiro, similar to the Trick Weapons in Bloodborne. 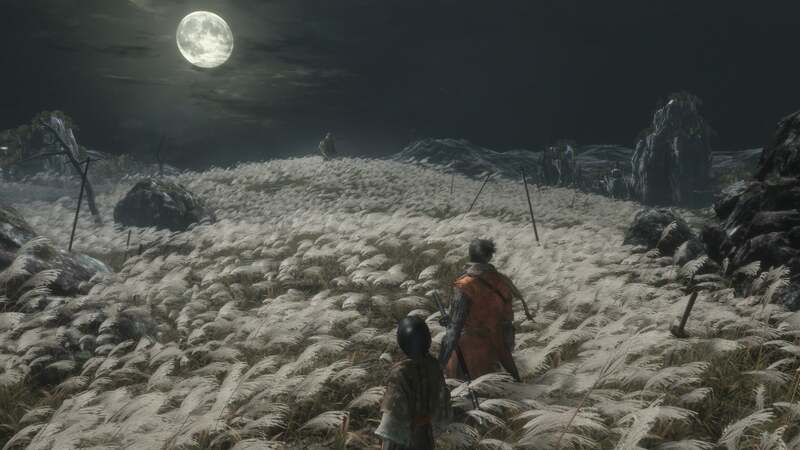 The absolute biggest news though: Death isn’t the end in Sekiro. If you die during a battle, you can resurrect and keep fighting. From wasn’t willing to talk about how this mechanic works, except to say that it exists and that “The game is not going to be easy.” Intriguing. We don’t know much yet. That I can say for sure. And yet I’m probably more intrigued by Sekiro than I have been for any From game in a while. Here’s the thing: It looks like Nioh. There’s no getting around the subject, and I think the comparisons are inevitable. Hell, Nioh even took place in the same Sengoku period (albeit around 100 years later). I loved Nioh though. It made it onto our Game of the Year list for 2017. A proper From Software take on the same ideas, with more mobility options and more deliberate sword combat? Plus that same blend of Japanese folklore with a pseudo-historical setting? I will absolutely take that. 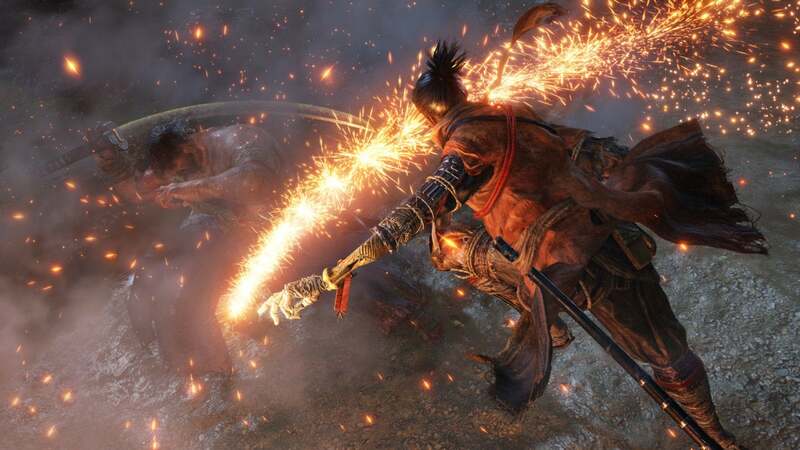 Look for Sekiro in early 2019. And stay tuned all week as we keep our coverage of E3 2018 going. There are plenty of previews and videos still to come.